Cannabis, we have been told it ruins your brain. But it might just be doing the opposite. 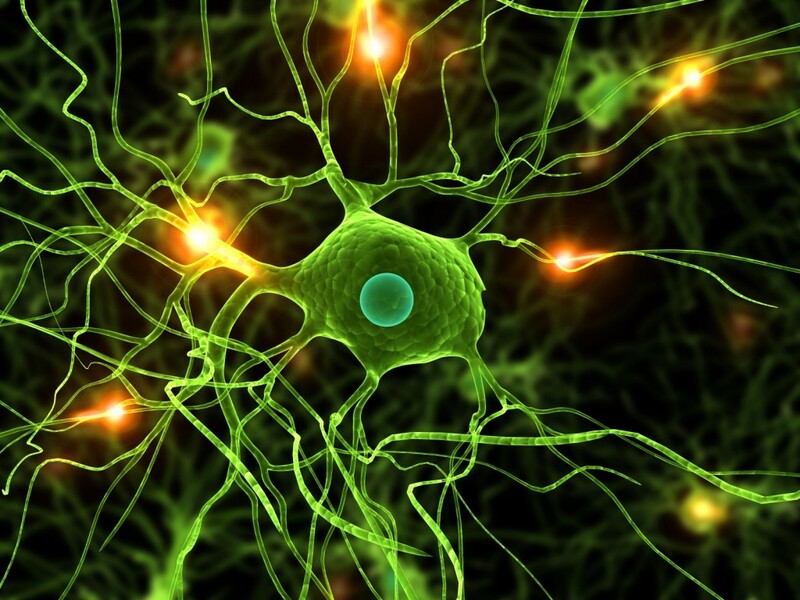 From curing cancers, stopping seizures and developing new braincells. One of the reasons we at CBD Crew started this journey with stabilizing high THC/CBD strains, was after a friend of us removed her brain tumors with 1:1 THC/CBD without even actually trying to do it. She was eating capsules to keep the pain away and the side effect was that the tumors shrunk and went away. Tumors that the doctors had given up on trying to treat as they did not react to any treatment they could offer. So we started stabilizing the genetics ( making every single seed a cbd/thc carrier ) so that every person that wanted to try heal from cannabis could grow safely CBD/THC rich cannabis plants without being dependent on a lab to check if they had flowers containing any CBD or not. Now, a few years later, we see the enormous potential of cannabis as medicine for so many more illnesses. Cannabis seem to be very beneficial for the brain in general, when it seems to help conditions from cancer to epilepsy, Alzheimer, PTSD, anxiety, alcohol-related brain damage and even helping the brain grow and more. Those are all very exiting things, and we are looking forward to more studies on this. If cannabis could in the future help stroke patients or people with trauma to the brain, to rebuild parts of the brains that has been damaged, that would be a big medical breakthrough! So it might not be to surprising that cannabis can be of great help fighting brain tumors. Studies in mice has been so successful that we can now take the trials over to human patients in high-grade glioma, an aggressive cancer, with very low long-term survival rates. Statistics show that just over a third (36%) of adult patients in the UK with glioma live for at least a year, while the five-year survival rate is 10%. This year here in Spain we hope to start a study on 30-40 glioma patients, all sponsored by the public. 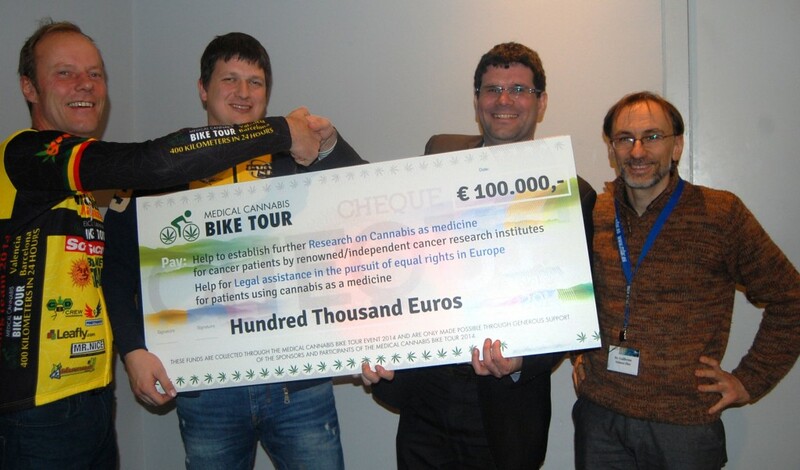 The great crew at Medical Cannabis Bike Tour, has started this wonderful study by fundraising all the money needed to start. There is just a small amount of money left to be sure the study can be completed, so do donate if you can. CBD Crew and many more companies are proud sponsors. Donate here! Hope you are doing good. There really is no “correct answer” to this. We normally just tell people to take as much as they can. Also maybe you are on a hemp oil ( only CBD ), not a cannabis oil ( CBD + THC or just THC ) . If you have any way of adding with some cannabis/THC to that oil, it will be more potent for you. THC is also very important when it comes to battling cancers. My father has recently been diagnosed with stage 4 glioma. I am looking to source medeical grade cannabis oil with1:1 cbd:thp. Have you any contacts i can use to source in the UK please. Any pointers would be much appreciated. I am sorry to hear, it’s not a nice message to get. Unfortunately we can only provide you with the seeds to grow and make your own products. Since there are so few that grow compared to people that need oils, it can be very hard to get a hold of if you don’t know a grower or grow yourself. Be very aware of people posting on social media saying they have oils etc for sale, it’s almost certainly a scam. I would start by asking people you know if they knew of any that could help you out. But I can tell you that the first person I personally saw remove “terminal” tumors was a glioma patient. But of course not everybody are as lucky as her. If you want more info, contact us directly. Was taking a 60mg course of 1:1 cannabis oil, over 30 days for atonic colon, with the concern of potential for cancer. Within 3 days I was experiencing the reversal of permanent neurological damage caused by a chiari malformation , and subsequent decompression brain surgery. I have regained balance. I have literally not been able to stand on one foot for over ten years, and I’m no longer bumping into walls. Hot and cold sensation has returned to both my right hand and foot. My extremities are not constantly tingling and numb. These are unexpected and incredible results. This is literally changing and saving my life.